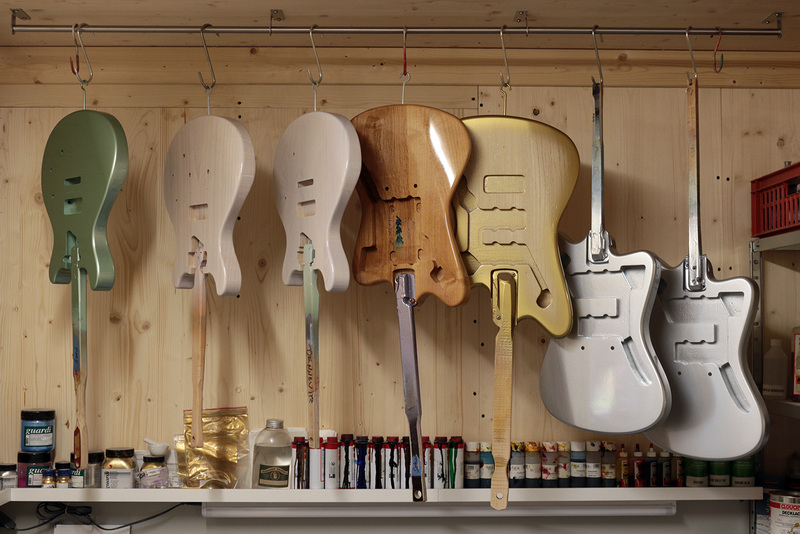 Deimel Guitarworks is an expert in uniting vintage design cues of well known classic electric guitars by exacting quality and adding contemporary features. Looking backwards never felt so futuristic as when playing a Deimel guitar. Giving an unimpeachable tool to a musician but also mirroring his/her unique style is their absolute goal. Frank Deimel showing us the new bass model within the great Firestar range - The Firestar Bass. This bass provides serious rock tones. One of the best sounding and playing rock basses we have encountered in years! Presented exclusively for Vintage & Rare at Frankfurt Musikmesse 2013. Frank Deimel from Deimel Guitarworks in Berlin showing us 2 different takes on the Firestar model.